← Kapahulu – Diamond Head: Unscathed by the Great Recession? 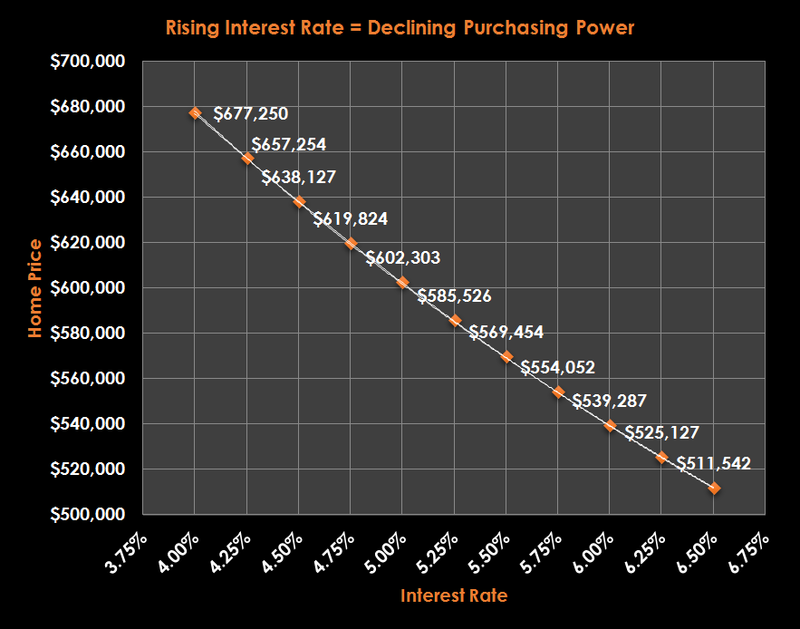 Rising Interest Rates = Decreasing Purchasing Power? 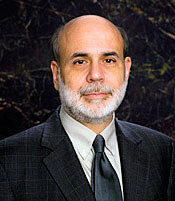 As early as March 1 of this year, the Fed began to hint at increasing interest rates. Now, financial markets globally are pondering the same. As of June 2013, the median single family home price on Oahu was $677,250. The chart above assumes the median home in the City and County of Honolulu is affordable at a 30-year interest rate of 4.00 percent (30-year fixed, 80% LTV, 33% debt service to income ratio). Rate increases at intervals of 25 basis points (0.25%) are shown. The impact of just a one percent increase in interest rates is staggering: The same family making the same income can suddenly only afford only a $602k home–approximately 11 percent less. 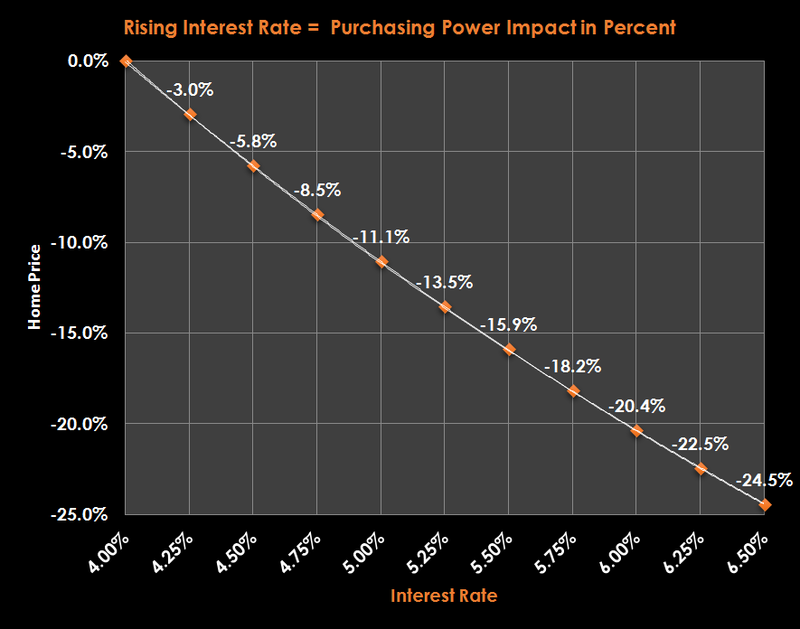 What if interest rates rose two percent? The effective purchasing power of the same household would decrease more than 20 percent! Bear in mind that 30-year interest rates of 6.00 percent are not historically uncommon–when my wife and I purchased our first home in 2005, our rate was 5.625 percent. Ok. Shock and Awe. What’s the point? Are we going down the tubes? The point of this article is to show how an increase in interest rates can affect the purchasing power of a particular household, not to predict the impact of rate increases on median prices (or the price of your home). In other words, if you can afford a $675k house at 4.0% interest, you’ll only be able to buy a $600k home if rates increase just one percentage point–all other factors being equal. In a future post, I’ll talk about how historic interest rates track (or don’t track) with historic median prices, and how interest rates relate to sales volume (demand). Comments and/or Questions? Please leave them in the comments section below–I’d be happy to clarify or expand. I'm a commercial and high-end residential real estate appraiser in Hawaii. I'm passionate about appraisal and valuation issues in the same way some folks obsess over football, shopping, or bacon. I love this stuff. Will Countertop Finishes in Hawaii’s Luxury Homes Evolve? Disclaimer: The views expressed on this website are mine alone and do not in any way reflect policies, positions, or opinions–expressed or implied– of the Appraisal Institute or my employer.